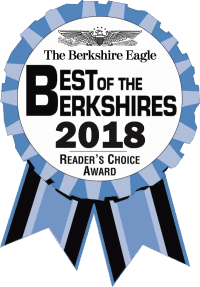 Barrington Stage Company is the fastest growing arts venue in Berkshire County, operating for 7 months each year and attracting more than 58,500 patrons. BSC Business Partners demonstrate a commitment to the community by supporting BSC’s work on stage. Sponsorships provide the highest level of exposure. Gain incredible coverage for your business as a lead sponsor of a BSC production with opportunities from $5,000-$35,000. The Development Department at 413-997-6110 or Development@BarringtonStageCo.org. BSC will work with you to create a custom partnership that meets your business objectives! By purchasing an ad in our Season Playbill, you are investing in the continued growth of the arts in the Berkshires as well as the growth of your business. In addition to exposure in the Playbill, advertisers receive additional benefits, including complimentary tickets to BSC productions.